With spring just around the corner many of us find ourselves thinking of spring cleaning, home improvements and spending as much time in the outdoors as possible. After being cooped-up indoors during the long, cold winter months the excitement of warm weather and sunshine come some risk factors that we should keep in mind to be sure that our furry friends are safe. Many people are eager to open their windows wide at the first signs of spring to air out the musty winter air; this can cause a real danger to curious pets, especially cats that may jump or fall out of windows that are not properly screened. It is important to check that screens are sturdy. Holes can also be tempting for pets that may want to go explore the outdoors; some cats, eager to enjoy the spring weather may try to escape through existing holes. Dogs also like to make the most of the fresh spring air, especially in the car. 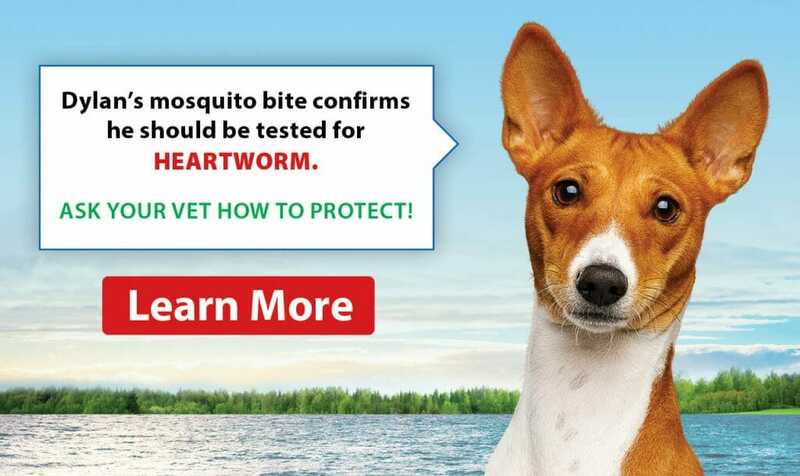 It is important to remember that flying debris or insects can cause not only injuries, but also put your dog at risk of developing inner ear, eye and lung injuries or infections. Some dogs may also attempt to jump out of the vehicle if they see something that they want to investigate further. Pets are safest travelling in a secured crate or wearing a specially designed seatbelt harness. 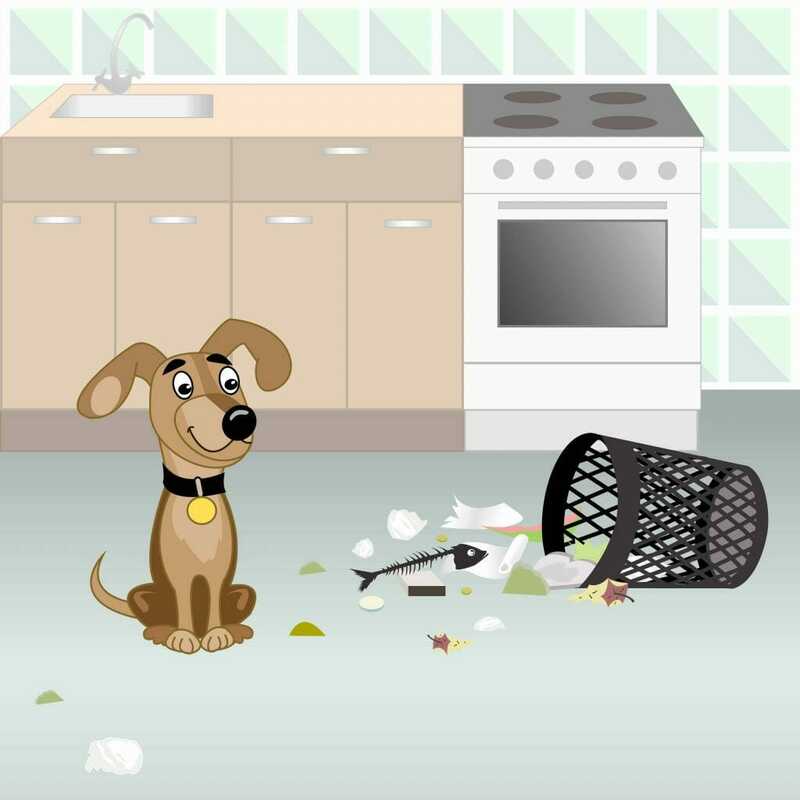 Spring cleaning and home improvements can create many hazards for curious pets. Be sure to keep all cleaning products and chemicals out of reach, and remember to read and follow the label for proper use & storage. Tools and supplies used during home renovations also create physical hazards for pets; it is important to keep all supplies out of reach. If you suspect that your pet may have ingested a toxin you need to contact poison control as well as your veterinarian immediately. Another area that can be full of toxins is the garden; many fertilizers and insecticides that help maintain a healthy lawn and garden can be deadly for our four-legged companions. These products must all be kept out of reach, and pets should only be allowed in the yard under close supervision after these products have been used. Even if you do not use any chemicals in your yard, the fresh greenery can cause a risk in itself. Many popular spring plants are highly toxic if ingested, such as lilies and azaleas. Like humans, pets can also develop seasonal allergies. Symptoms can range from sneezing to itchy skin. 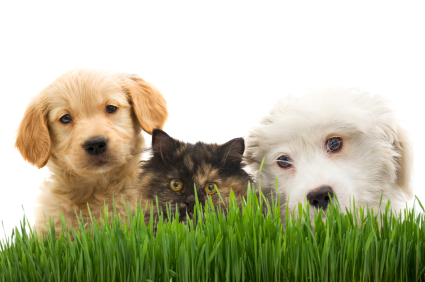 If you suspect that your pet may be suffering from spring time allergies, please contact us Clappison Animal Hospital. Along with the warm weather come those pesky little critters that can make our skin crawl. The warmer weather in recent years has created an optimal environment for fleas and ticks to be rampant during longer periods throughout the year. To help prevent an uncomfortable pet and risk an outbreak in your home, it is best to get your pet on an appropriate preventative medication. Safety doesn’t end with “pet proofing” our homes, many people like to travel with their dogs and go for longer walks once the warm weather hits. It is important to keep your dog leashed while on walks; wildlife emerging from hibernation can often times be too tempting and even the best trained dog may ignore its owners commands to “heel” or “come back”. Waterways also cause a danger, melting ice and snow can raise water levels; rivers are especially dangerous as even the calmest looking waterway can quickly sweep away an unsuspecting pet. For more ‘Spring Safety Tips’ our Waterdown veterinary team are always prepared to discuss. Please do not hesitate to give us a call, shoot us an e-mail or Facebook message if you have any questions about keeping your pets secure this season!